Poster sessions are scheduled daily between 16:00 and 17:00. All posters will be displayed during the whole conference, from Thursday 23 to Sunday 26. Authors of posters are kindly requested to stay at their poster for discussion either on days 23rd and 25th (odd poster numbers) or on days 24th and 26th (even poster numbers). More info here. MS02-P08 Vagabond: a new project for macromolecular model refinement. MS02-P11 How can data collection affects the success of solving crystal structures using Single-wavelength Anomalous Dispersion? MS07-P02 Comparison of the uridine-binding site of hexameric and heptameric archaeal Lsm proteins. MS07-P06 Nanocrystallization of the Nucleoid of Bacteria under Stress. MS09-P09 Structure analysis of haloalkane dehalogenase DbeA ΔCl variant from Bradyrhizobium elkanii USDA94. MS10-P07 Structural studies of cycloheptylamine and alcohols co-crystals. MS11-P06 Structural Characterization and Functional Studies of Putative Human Glutathione-specific γ-glutamylcyclotransferase 2 (ChaC2 enzyme). MS13-P05 Spatial displacement of forward-diffracted X-ray beams by perfect crystals. Cases: Laue and Bragg geometry. MS13-P06 Measurement of relaxation-free stress profiles in aluminium by multireflection grazing incidence X-ray diffraction with different wavelengths. MS13-P08 Crystallographic characteristics of the siliceous lithic material from the deposit and the outcrops to explore the supply sources of Mesolithic groups from the Los Canes cave. MS13-P10 Solid-state synthesis and structural characterization of novel geo-inspired sulfate, Na2CuM2(SO4)4 (M=Mg, Zn). MS15-P08 Crystal growth of lead bearing phases at acidic conditions. MS16-P18 Structural studies of titanium and zirconium silicate ion-exchange materials for the treatment of nuclear waste. MS16-P21 Synthesis and properties of puninite-type A2Cu3O(SO4)3 (A = Na, K, Rb, Cs) sulfate materials. 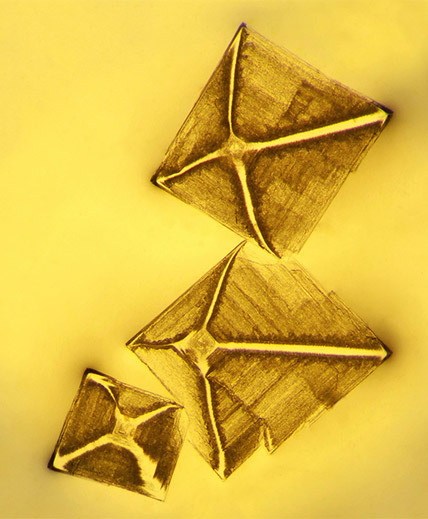 MS18-P08 1-Hydroxypyrene under pressure - crystal morphology affected by hydrogen bond. MS22-P05 Deciphering the driving forces in crystal packings by analysis of electrostatic energies and contact enrichment ratios. MS31-P11 Combining crystal structure prediction and structural comparison with experimental screening: a potential route to more polymorphs, including a 2-for-the-price-of-1 special. MS31-P18 Computional studies of droperidol / benperidol solid solution phase formation. MS35-P01 Negative compressibility of a metal-organic framework? MS35-P13 New uranyl compounds with microporous frameworks. MS36-P08 Copper based Bio-MOFs: Challenges and possibilities in crystal engineering. MS36-P26 Unexpected long-lived photogenerated High-Spin phase investigated by X-ray diffraction. MS36-P31 A Systematic Study of Radiation Damage in Transition Metal Chloride Complexes with 1,5-cyclooctadiene Ligands using Diffraction and Spectroscopy. MS36-P34 Evidencing size-dependent cooperative effects on spin cross-over nanoparticles of Hofmann-type [Fe(pz)Pt(CN)4] coordination polymers. MS38-P04 Multscale real-time XRD probing of the semiconductor to metal ultrafast phase transition in Ti3O5 nanocrystals. MS39-P05 Use of X – ray diffraction method for residual stresses measurements in lean duplex stainless steel welds. GI-MS48-P01 How symmetry in the Islamic ornament can be relevant to introduce symmetry in the Crystallography teaching.